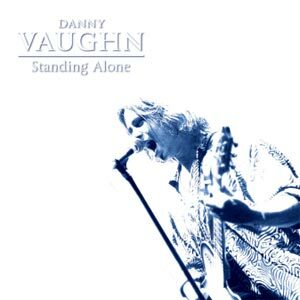 Following on from his two hugely successful Christmas shows, HardRockHouse is pleased to announce that Danny Vaughn’s Standing Alone EP is now available. Featuring stripped back interpretations of both Tyketto & Vaughn classics the EP, which has been unavailable since the 2002 pressing very quickly sold out, should be a “must have” for any classic rock fan. From the beginning of his career Vaughn, the Tyketto & former Waysted vocalist, had always been the token acoustic guitar player who added a little extra flavour to the sound of the bands with which he was involved. The idea for Standing Alone came about following a UK tour which saw Vaughn taking to the stage alone every night to play a song acoustically. Such was the reception that these interludes received that soon after he invested in some home recording equipment and Standing Alone began to take shape. As Vaughn states: “The idea was to see how some songs from my near and not-so-near past would sound reinterpreted”. And the result is nothing short of spectacular. Emotional and honest Standing Alone is the sound of vocal and guitar working together at their best, the simplicity of the arrangements proving just how good Vaughn’s songs truly are.